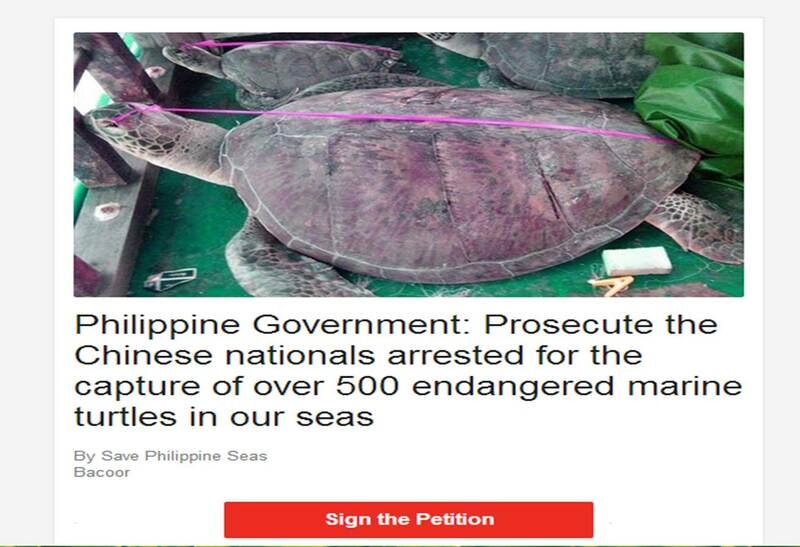 We, citizens of the Philippines, hereby stand by our government and express our fullest support for the immediate prosecution of the Chinese nationals with their shameless Filipino collaborators arrested for the capture of over 500 endangered marine turtles in our seas. In addition to violating national and international laws such as the Wildlife Conservation Act, the Fisheries Code, and the Convention on International Trade of Endangered Species, these Chinese nationals pierced the eyes of the marine turtles and tied them through their eye sockets to prevent them from escaping–an act of barbaric cruelty against animals. We congratulate and applaud the Philippine National Police Maritime Group Special Boat Unit for seizing the Chinese fishing boat and apprehending its crew to enforce maritime and marine conservation laws. As the richest marine waters on Earth, we Filipinos must take the lead in marine law enforcement. The Philippines has been called the “Center of the Center of Marine Biodiversity on Earth.” Because we are the most gifted of the seas, we have the credibility and responsibility to advocate for its conservation, not only for today but for all time. We must not allow ourselves to be bullied by a neighborhood toughie. Small as we are, we must be ready to stand up to whoever dares to destroy our God-given wealth of marine resources, even if they are the most powerful country on Earth. 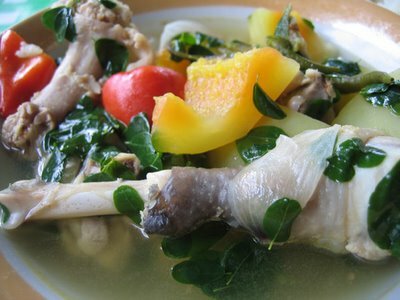 This poaching incident is not an isolated one. Chinese, Vietnamese, and Taiwanese poachers have been arrested in the past and current administrations. The Chinese poachers have even entered our Tubbataha Reefs. However, as a gesture of friendship and appeasement to China, our Government quickly released the accused. This has been taken as a sign of weakness by the foreign nationals who continue to intrude into our territorial waters and capture endangered species. We challenge the authoritarian government of the People’s Republic of China to face the Philippines in the International Tribunal of the Law of the Sea where we shall settle our differences in a manner appropriate for civilized nations under a regime of the rule of law. Its continued refusal to meet the Philippines in an impartial international forum reveals the lack of legal basis of its atrocious claim to the entire South China Sea, including the West Philippine Sea as defined by the UN Convention on the Law of the Sea. This refusal to engage the Philippines in an organized and orderly forum also reveals the cowardice and/or sheer arrogance of the Government of China. We strongly urge the authorities in Palawan and the national government, especially President Benigno Aquino II, the Department of Foreign Affairs, the Department of Justice, and the Police to be strong in the face of undue pressure. We, the people of the Philippines, stand by our government officials in this battle to uphold the country’s right to protect our Philippine Seas, the richest marine waters on Earth.